April 13, 2018 (Agua Dulce, Calif.): Multitool USA isn’t just a sponsor of the NORRA Mexican 1000, they come down and join the fun every year. Joe Bolton, owner of Multitool, has raced several times on a motorcycle, and now in a pair of UTV’s. He is joined by a crew of friends and family that have all come to know each other through racing in Baja. Dana Jones, Chris Finley, Mark Vanscourt, Mark Swanson, Steve Buckley, Kyle Bennett, Kevin Heath, Son Austin Bolton, and Mark Jerman have all come together to take part in “The Happiest Race On Earth!”. They are also sponsoring multi-time bike champion Steve Hengeveld. 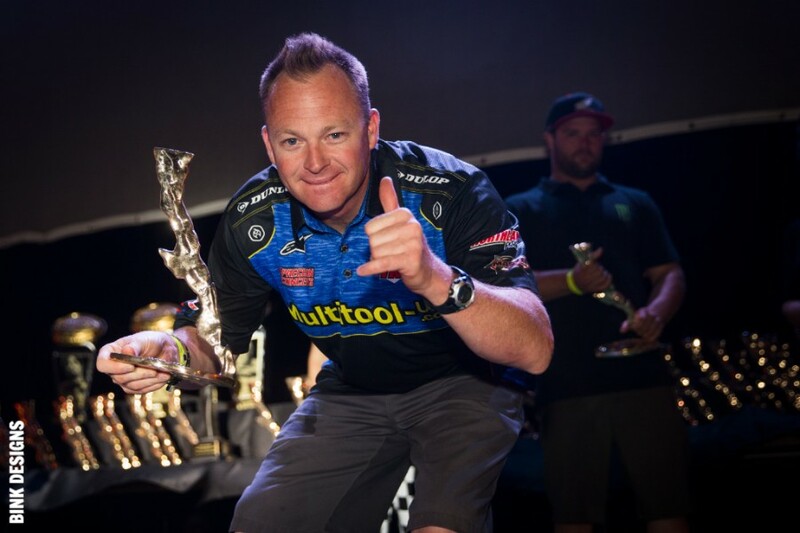 Multitool USA sponsored Steve Hengeveld, two-time NORRA Mexican 1000 Champion (Bikes) showing off the hardware at the San Jose del Cabo Awards Celebration. The Multitool is a versatile shop tool that is necessary for anyone who works with metal. 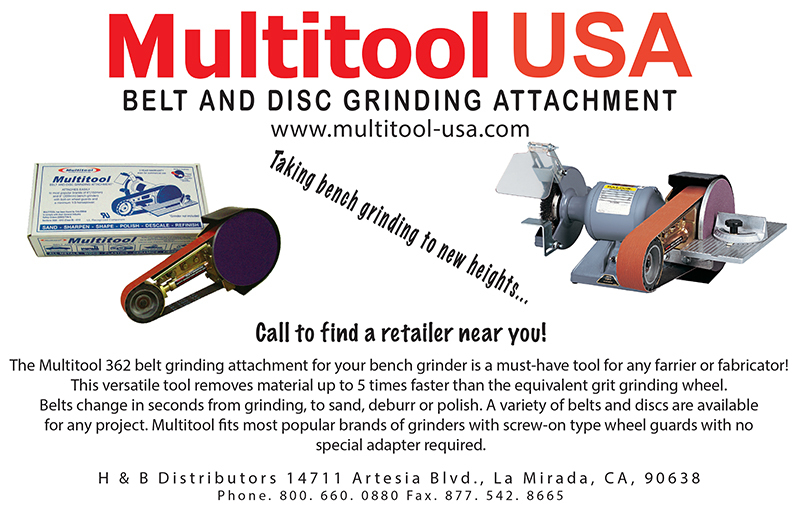 It can be purchased as an addition to your existing bench grinder, or you can buy it as a complete unit. 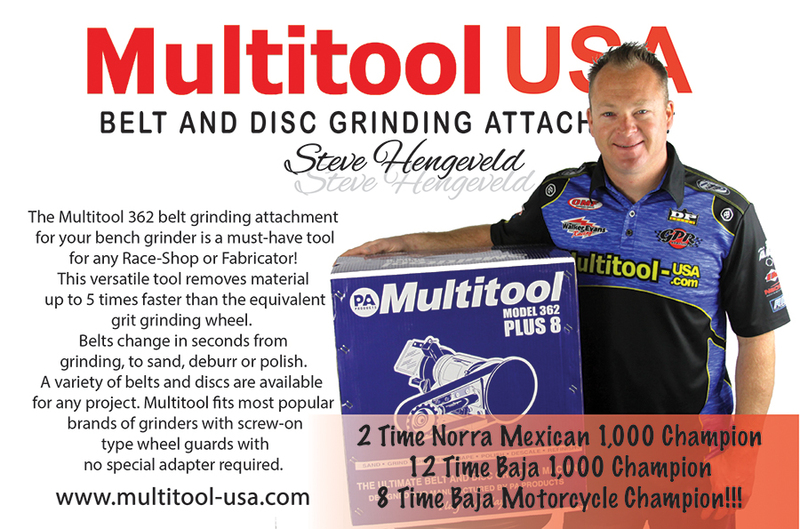 You can find them at www.multitool-usa.com, or at your local Napa Auto Parts store. Anyone who races, or just enjoys their toys, knows that it takes some time in the garage to get ready for your adventures. 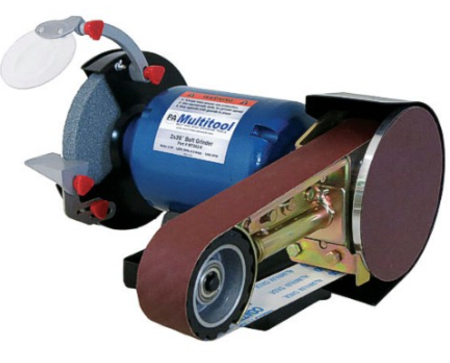 The Multitool is a versatile bench grinding tool that comes in handy for any type of grinding or sanding work that has to be done. When you add the Mitre Table Attachment, it allows you to do precision angles and supports your work. If you need to sharpen tools, deburr rough edges on parts, or use it for fabrication, the Multitool will allow you to accomplish tasks you didn’t think were possible. Joe Bolton and his crew are typical of the competitors that keep coming back to the NORRA Mexican 1000. They were exposed to the rally, and then became die-hard fans and participants. They are now passing the tradition along to their kids, and their kid’s friends. 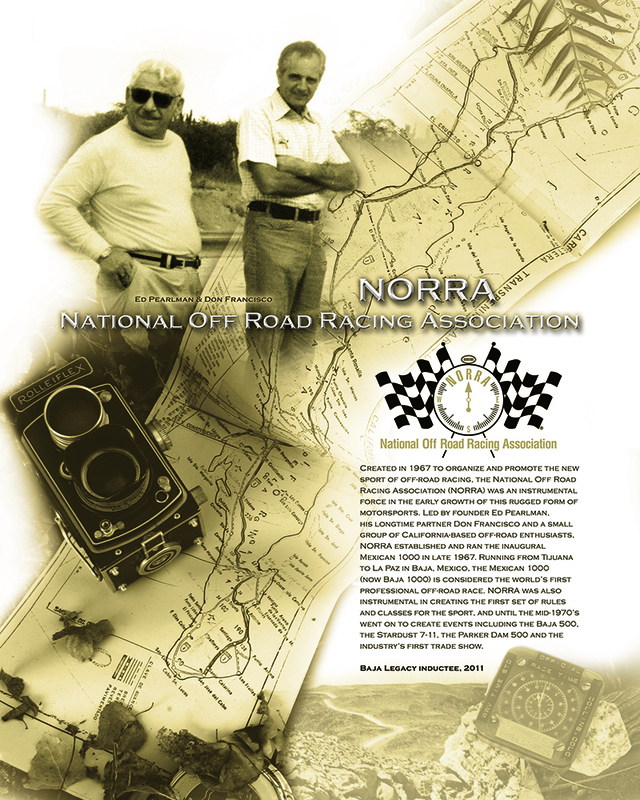 If you love fun, adventure, excitement, and great times with good friends go to www.norra.com and find out how you can join the fun. Login to your existing NORRA account, or create a new NORRA account at www.norra.com/member/member_home.php. Have picture images (.jpg, .bmp, or .png) of your Driver’s License, Passport and Health Insurance Card ready to upload to your profile. Have your race radio frequency handy as well as your emergency contact phone numbers. Determine what category your vehicle should be competing in (refer to 2018 rules at www.norra.com/rules_current.php). Update and complete the ‘My Profile’ and ‘My Vehicle’ sections of your account. It should be as easy as selecting your vehicle and choosing your preference of payment option. Upon completion of registration you will receive a confirmation email and see your entry online. 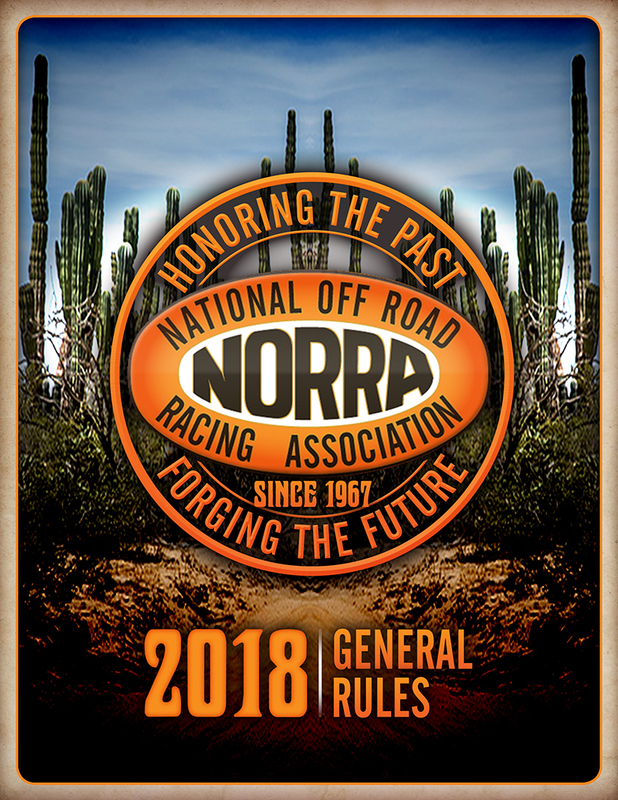 Please review UPDATED 2018 Rules and Categories as some details have progressed- www.norra.com/rules_current.php. 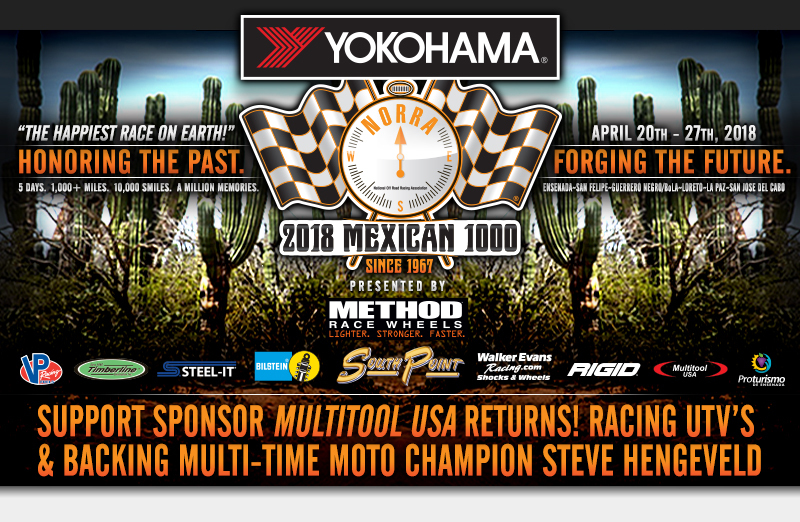 The 2018 YOKOHAMA NORRA Mexican 1000 is supported by Yokohama, Method Race Wheels, South Point Hotel Casino, Walker Evans Racing, Bilstein Shock Absorbers, Steel-It, Multitool USA, RIGID, VP Racing Fuels, Timberline, Ensenada Proturismo, Mastercraft/Impact Safety, Cerveceria Transpeninsular, Roganto, Biltwell Inc., Schampa, Racing TraX.com, Satellite Phone Store.com, P.C.I. Race Radios, WARN, Magic Bullet, US Action Trax.com, and many more.